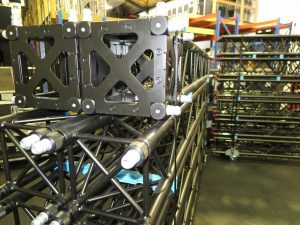 First in Africa with Prolyte Verto truss… in black of course! 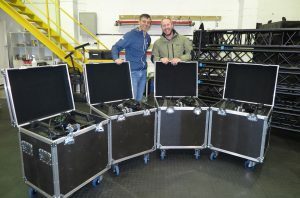 You are here: Home / News / First in Africa with Prolyte Verto truss… in black of course! 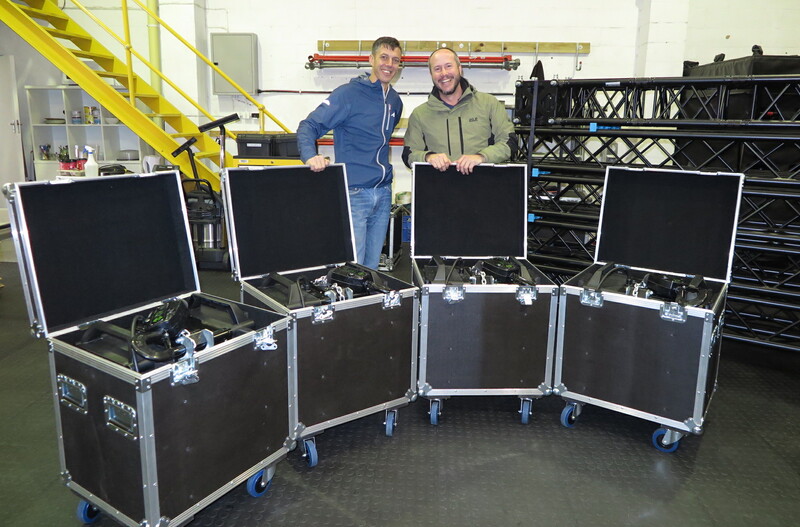 When Paul Hatfield from Prolyte visited the country earlier this year, he and Robert Izzett of DWR (Prolyte distributors in Africa) popped in at the Audio Engineering warehouse. “We chatted and Paul asked if I would be coming to Frankfurt,” Marcel recalls. 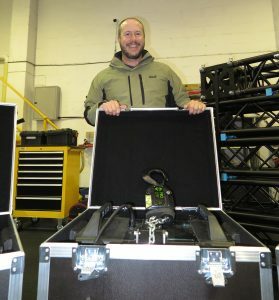 “When I attended Prolight and Sound a few months later, we met again. 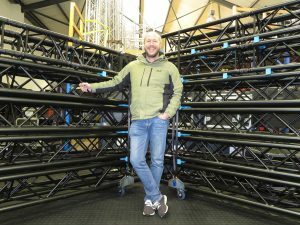 I was shown the Verto, which I had seen the year before, and it looked great!” Prolyte were running a special deal on their stand. Anyone who ordered Verto at the exhibition could have the trussing powder coated in black, free of charge.